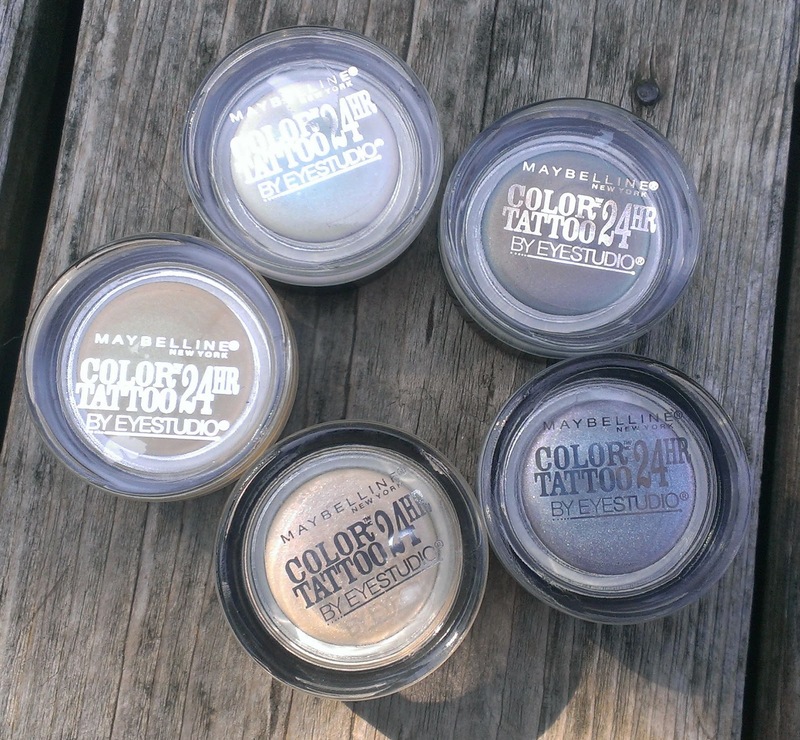 I adore the Maybelline Color Tattoo Shadows. For me, they're just as good as M.A.C. 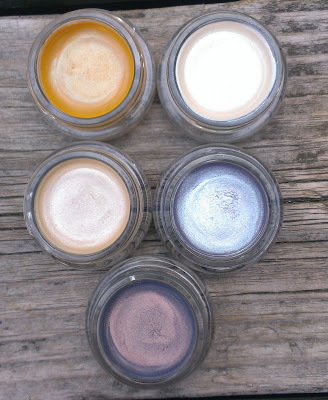 Paint Pots, which is high praise since the Paint Pots have long been my favorite cream shadows. These days, I actually give the edge to the Color Tattoos simply because they come in so many beautiful shades -- I think that I have almost all of the colors in the permanent range actually. That said, I'm usually able to resist their limited edition collections. 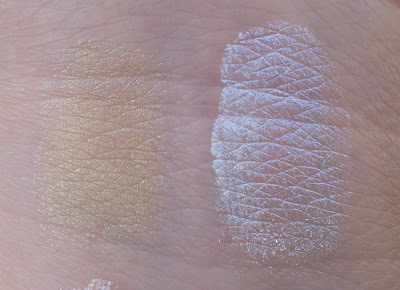 I think that there was one last fall that featured deep browns and other autumnal shades -- the colors were lovely, no doubt, but with the exception of a green shade, I had other cream shades in similiar shades so I just didn't see the need. I was not such a good girl when I stumbled across the Summer 2013 Limited Edition Color Tattoos at Walgreen's the other day. 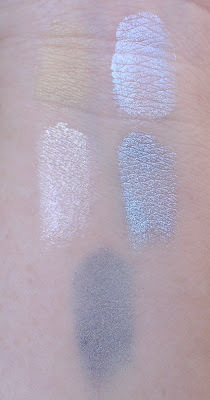 I'd seen swatches on the fabulous Nouveau Cheap and equally fabulous Musings of a Muse and while I was drooling at the mere sight of them, I tried to convince myself that I really didn't need them. But then I came face to face with them in the drugstore (on another harmless errand for deodorant and allergy medicine) and I was weak, weak, weak. 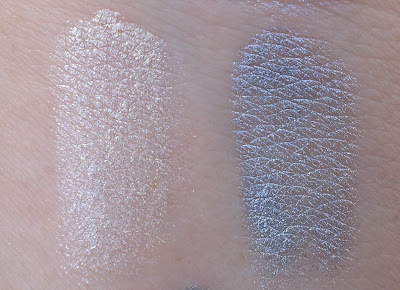 I blame Maybelline, though -- how was I to resist the (mostly) cool-toned, duochrome fabulouness? Originally, I thought that there were only six shades in the collection but at my local Walgreen's, the display actually had eight shades. And now I'm kind of kicking myself for not getting the remaining three because the swatches look lovely. Sandy Shores is a golden yellow shade with a slight green shift. 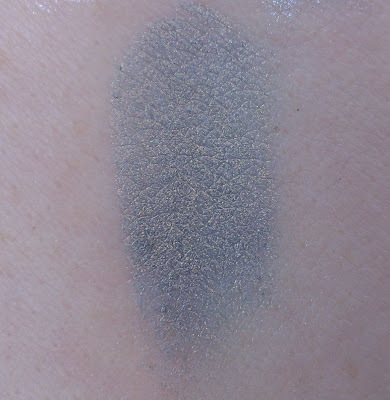 Of all the colors I purchased, its duochrome effect is most subtle. Waves of White is a pure white with a blue duochrome. It's fairly sheer so it has an opalescent look on the eye. 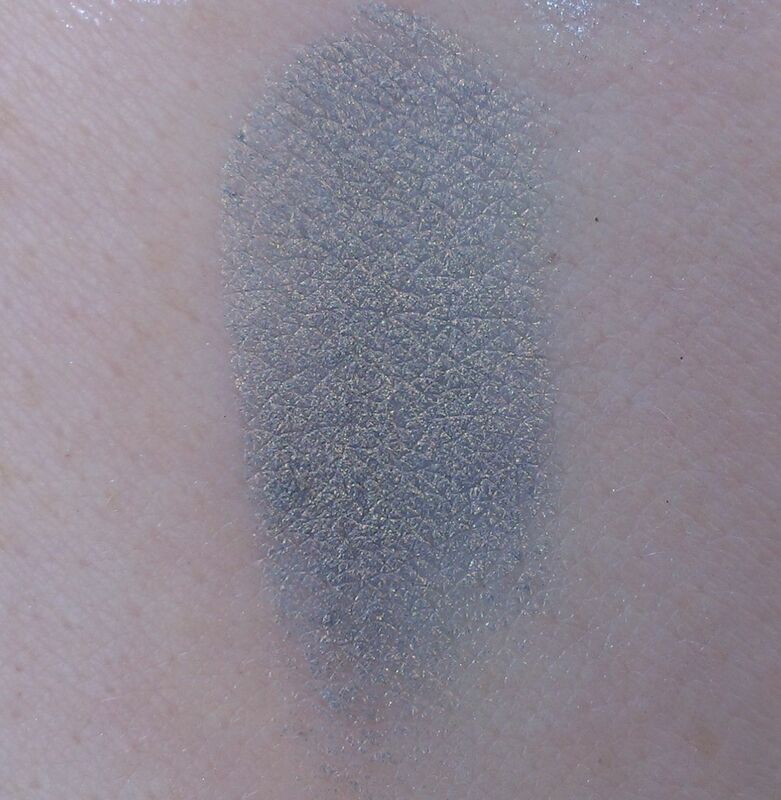 Precious Pearl is beige shade with a pink duochrome. Like Waves of White, it is somewhat sheer so it has a mother of pearl look on the eye. Cool Crush is a light blue that flashes purple and silver in the light. It's one of the more opaque shades. 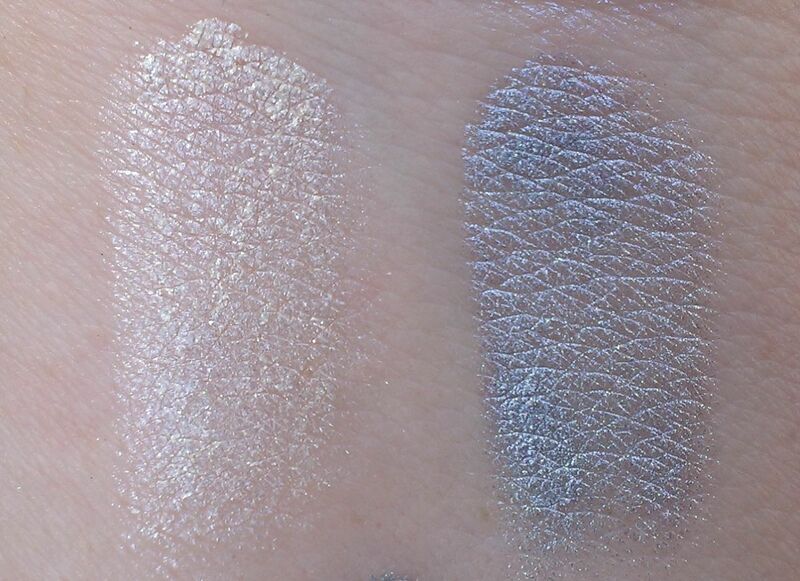 While all of the shades are lovely, Seashore Frosts is the real standout. It's a pretty complex color -- in the pot, it almost looks like a grayed purple. But it flashes purple, blue and some gold on the eye. It's very opaque too so you don't need to apply much to get saturated color. These are seriously pretty, aren't they? As far as the formula goes, these seem pretty similiar to the Color Tattoos from the permanent line. They're as easy to apply and wear just as long as my old favorites. However, I will say that these limited edition shades feel a bit thinner and creamier so you have to be careful when applying them -- if you use too much, there will probably be creasing. To build up more intense color, I just work with a little bit of product at a time and add thin layers until I'm satisfied. That's worked well for me. I've mostly worn the limited edition shades on their own (FYI -- I always apply traditional primer like UD Primer Potion or Too Faced Shadow Insurance under cream shadows so I don't know how these wear if you wear them on bare skin) and they look beautiful like that, but I'm having fun experimenting with layering powder shadows on top of them. You can get some pretty cool looks that way. All in all, I think this collection is a big hit. You might not "need" as many of the shades as I got, but I think you'll be able to create a bunch of pretty summer looks with one or two of the shades. Have you tried the Summer 2013 Limited Edition Color Tattoos? Do you plan to pick any up? Wow those are gorgeous!!! You have no idea how much the states are envied for those shades. though we do have the color tattoos as well, we only got the standard ones... such a shame. My favourite would be seashore frosts as well. It´s stunning!